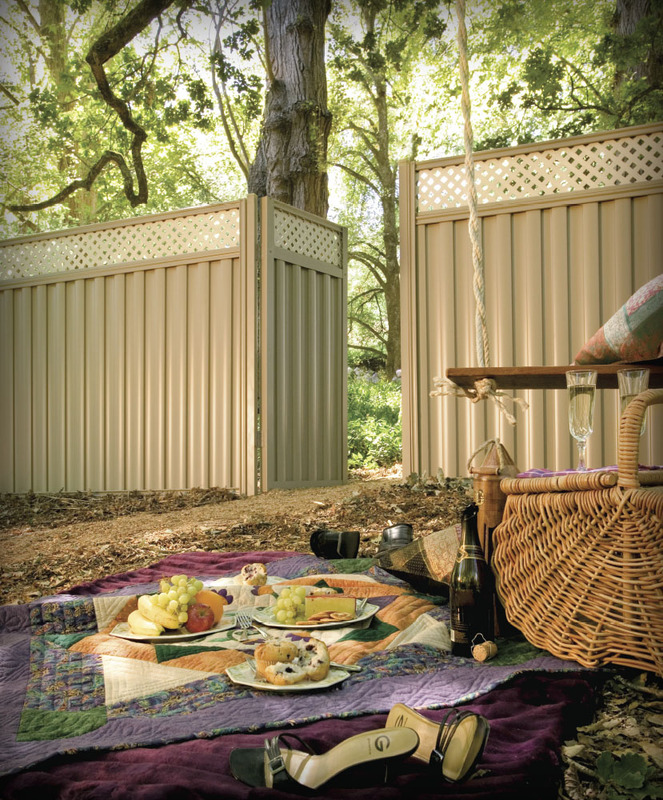 Stratco Good Neighbour Fencing is strong, attractive and easy to build. 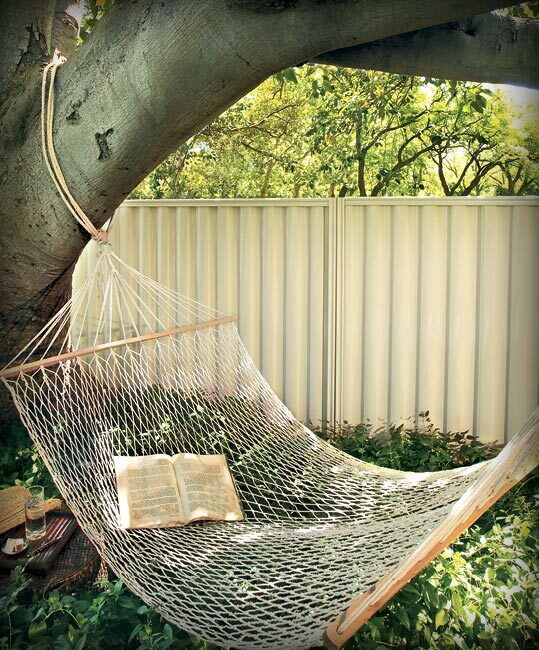 Its design allows clean and uncluttered lines to be enjoyed by neighbours on both sides of the fence. 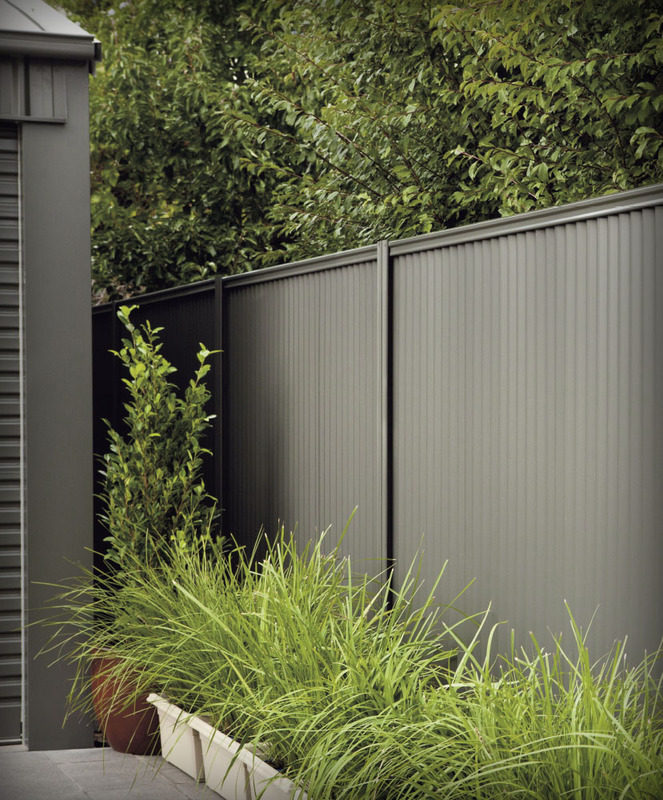 The fence is built in modular panels that join together. Good Neighbour’s strength and style is achieved by using steel fence sheets that fit into profiled fence tracks and fence posts. This simple design removes the need for fence rails in the middle of the fence. Good Neighbour Fencing looks identical on both sides, is very strong and easy to build. 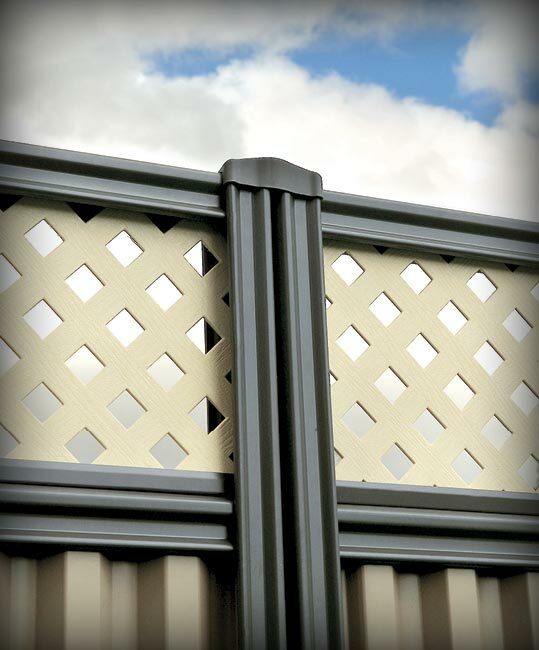 The wide range of heights, profiles and fencing accessories available mean that many different looks can be achieved. 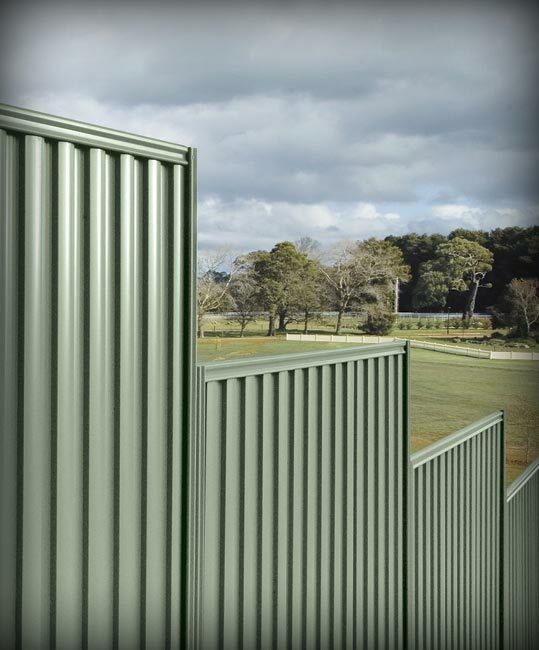 Good Neighbour Fence sheet profiles include Superdek®, CGI Corrugated, Smartspan®, CGI Mini and Wavelok®. 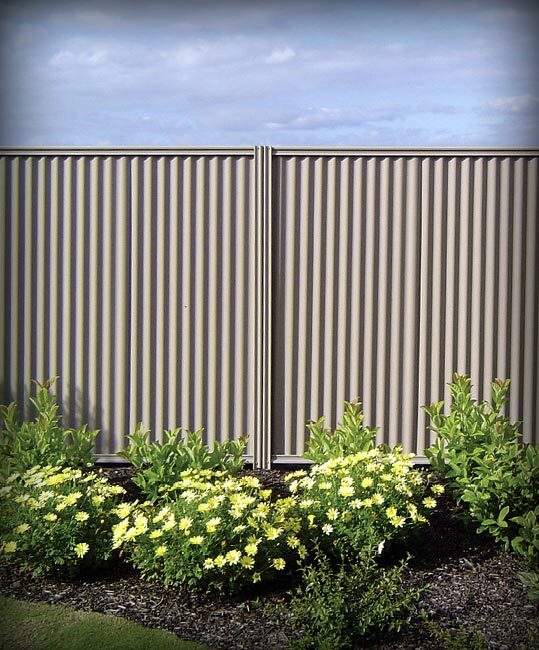 Wavelok is the flagship of fencing profiles and has been specifically designed by Stratco for fencing applications. It features an identical appearance on both sides. 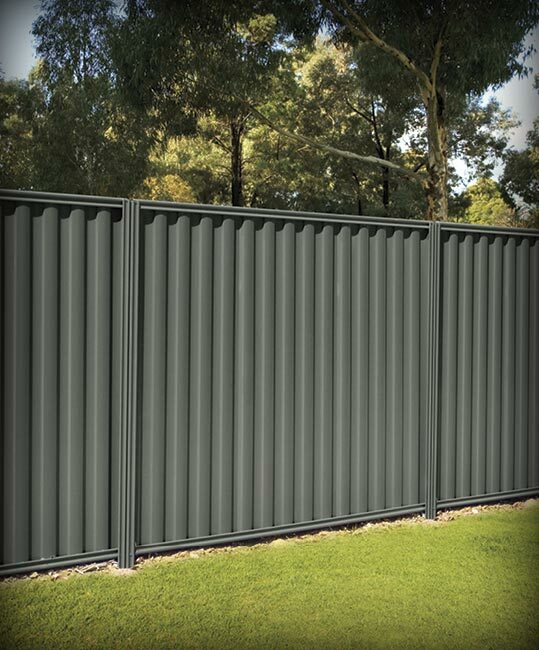 Fence Dimensions Good Neighbour Fencing is designed to Australian standards and is available in 1200mm, 1500mm and 1800mm heights, while custom panels can be ordered to suit individual applications. 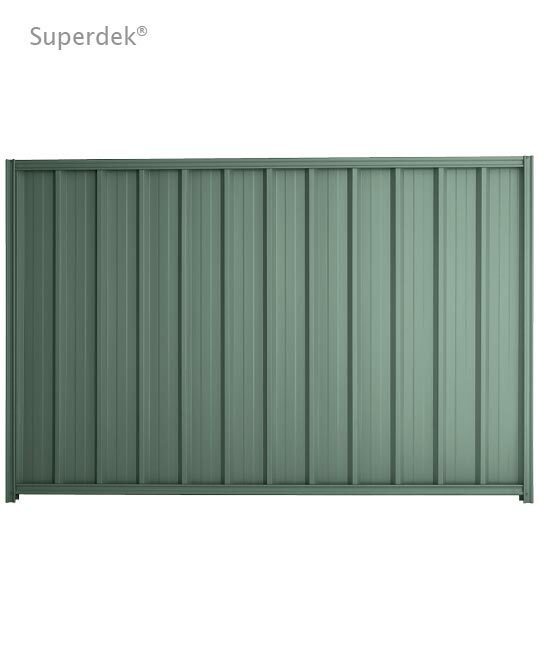 The panel width varies according to the fence sheet infill that you select. 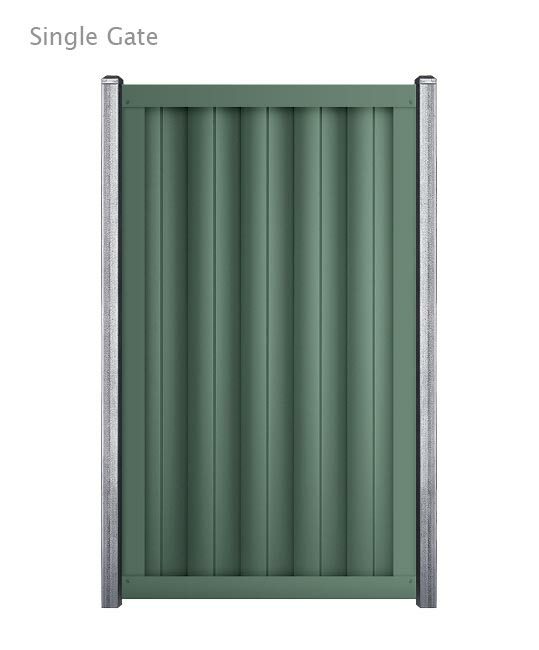 Superdek and Wavelok panels are 2350mm wide, Smartspan is 2170mm wide and Corrugated and CGI Mini are 2390mm wide. 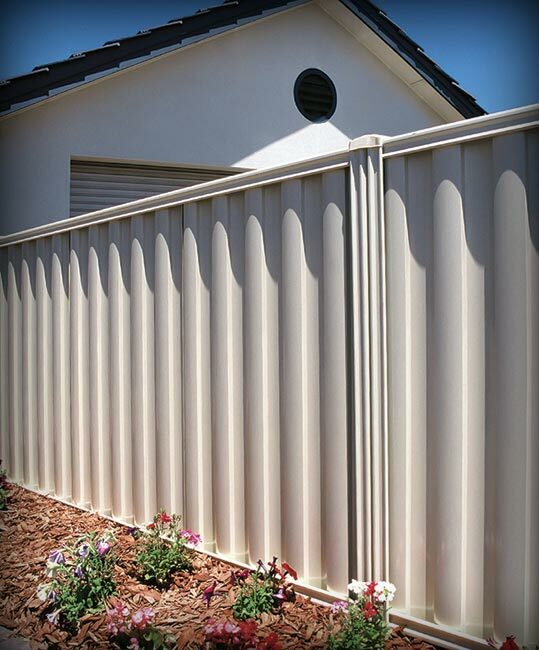 Flexible Fencing Design The modular nature of Good Neighbour Fencing means that it can be used on flat sites or modified to suit sloped and undulating land. A special order for longer top and bottom tracks can allow for unusual designs. If the sheets are cut on-site to the same angle as the slope, panels can be constructed to follow the contour of the land. 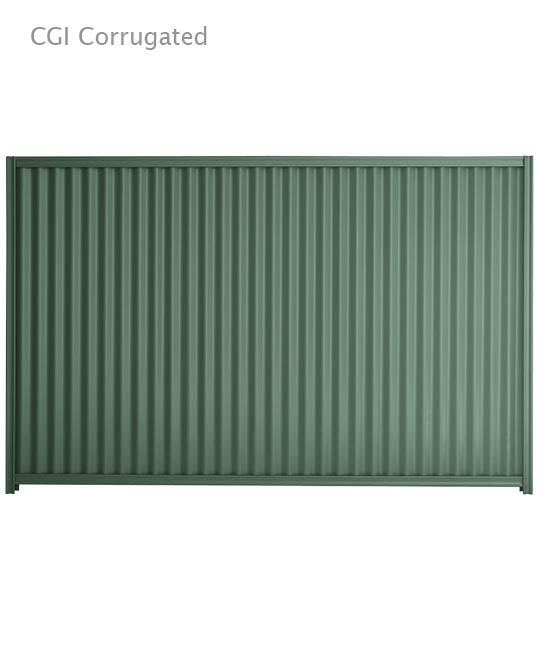 Alternatively, the Good Neighbour Fence panels can be ‘stepped’ over undulating land. 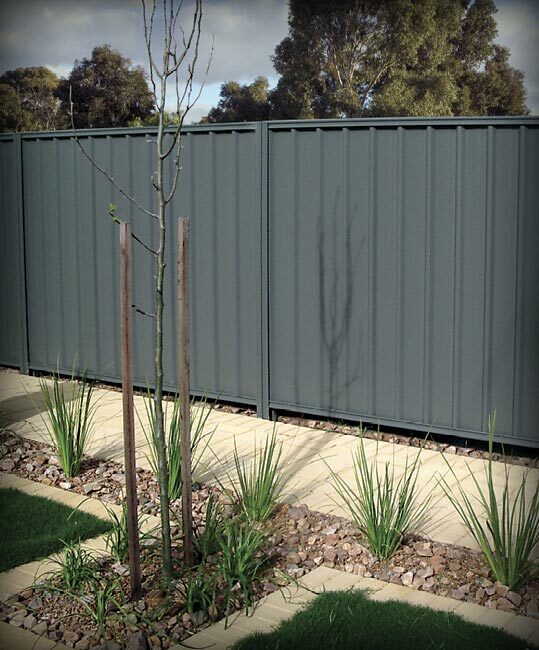 Good Neighbour Fencing is perfect for side, rear and front fence applications and can also be used for garden screens or hiding compost areas. 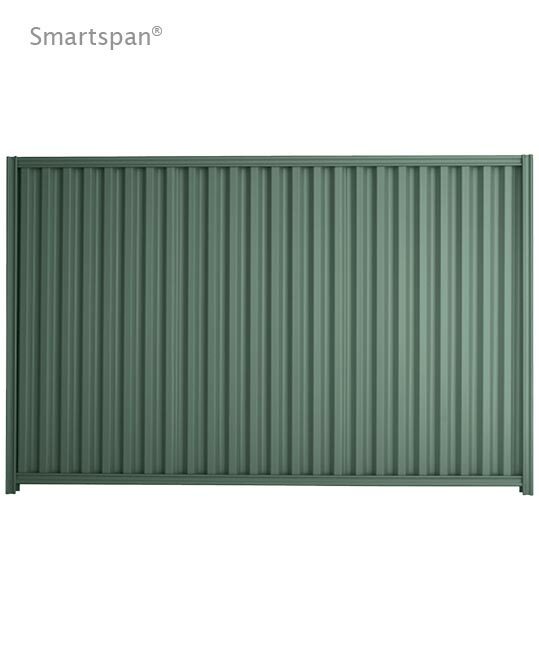 End panels can also be ‘tapered’ for visual effect and to reduce wind pressure on the fence. 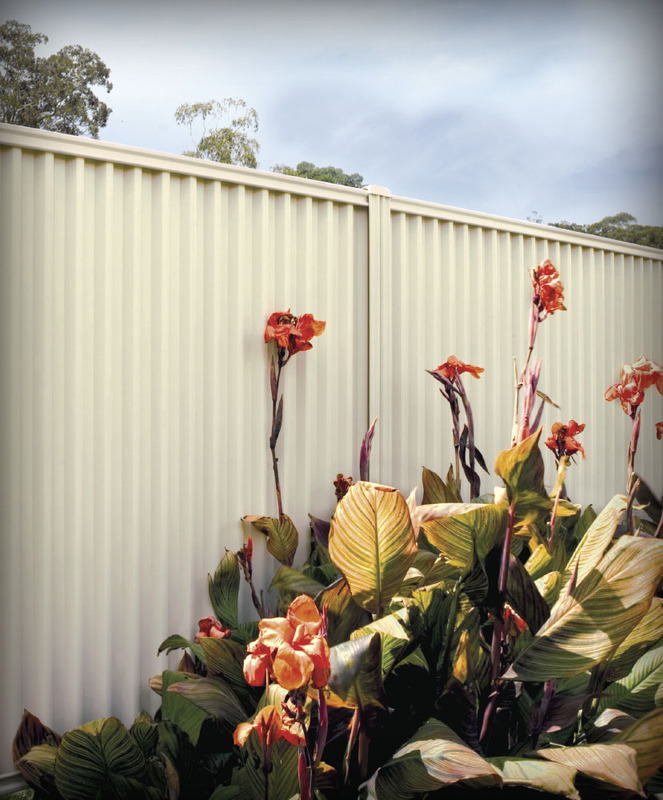 Fencing Colours Stratco Good Neighbour Fences are available in a full spectrum of double-sided colours or as unpainted zinc/alum. 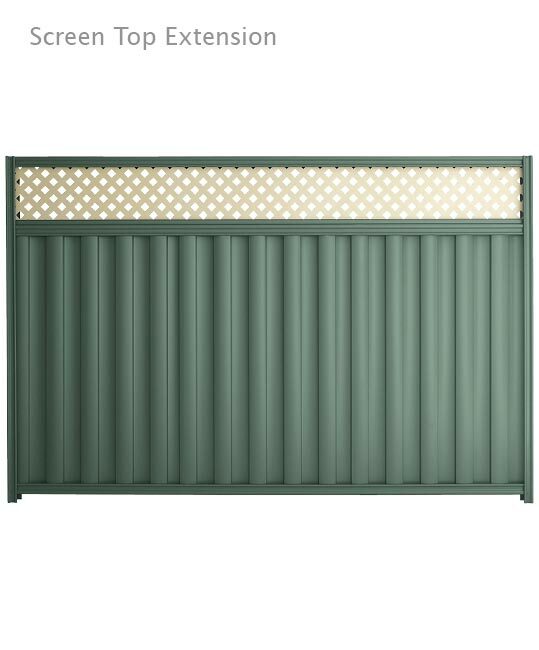 Mix and match the colours of the fence sheets, tracks and fence posts for an individual style. Fencing Accessories Accessories include post caps, and single and double fence gates. 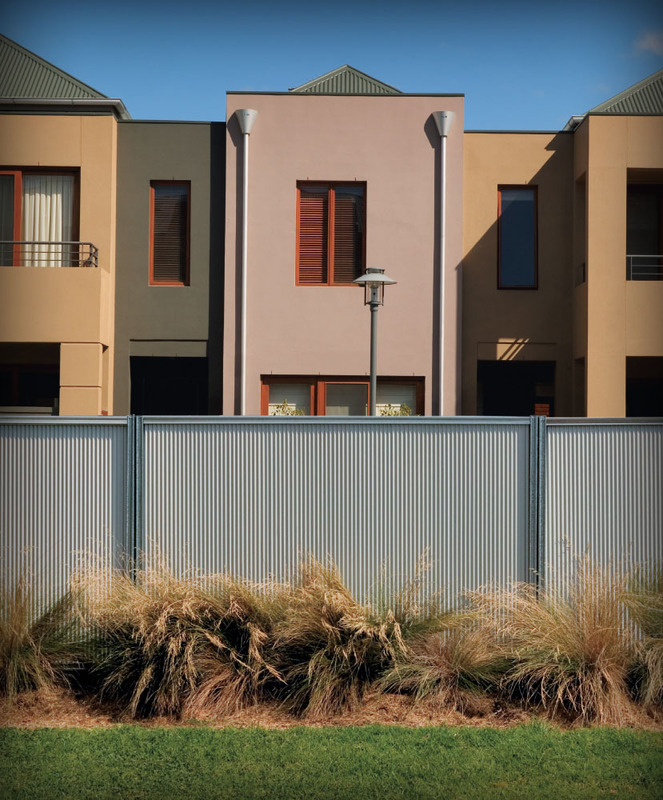 You can have the added privacy of a higher Good Neighbour Fence, while still allowing the light and breeze to flow through, with the Stratco Good Neighbour range of screen top fencing. Screen top fencing is available as a complete system with your new fence or as a 300mm extension that can be added to your existing Good Neighbour Fence. The screen top is attractive and durable. It is available in a range of colours and made from UV treated plastic for a long life. 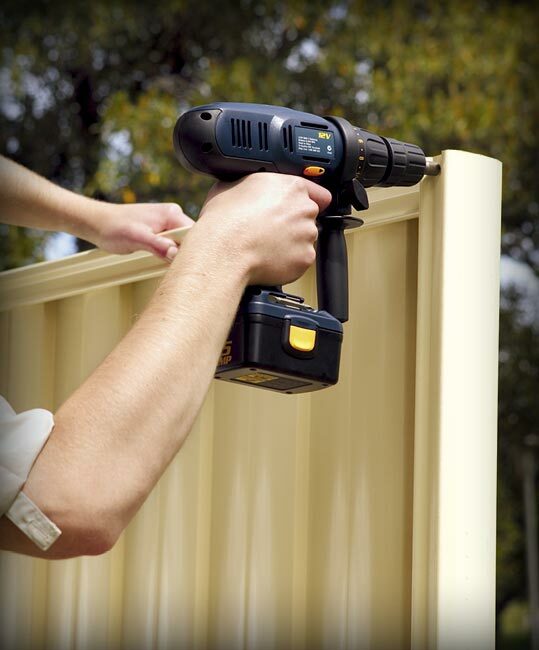 Installing a Stratco Good Neighbour Fence is the perfect do-it-yourself project. All the installation advice, tools and accessories that you need to complete your fence are available from us, as an Authorised Fencing Dealer. Your Good Neighbour Fence will maintain its good looks for even longer with a simple wash and wipe down using a soft broom. Refer to the ‘Selection, Use and Maintenance’ brochure for more advice. 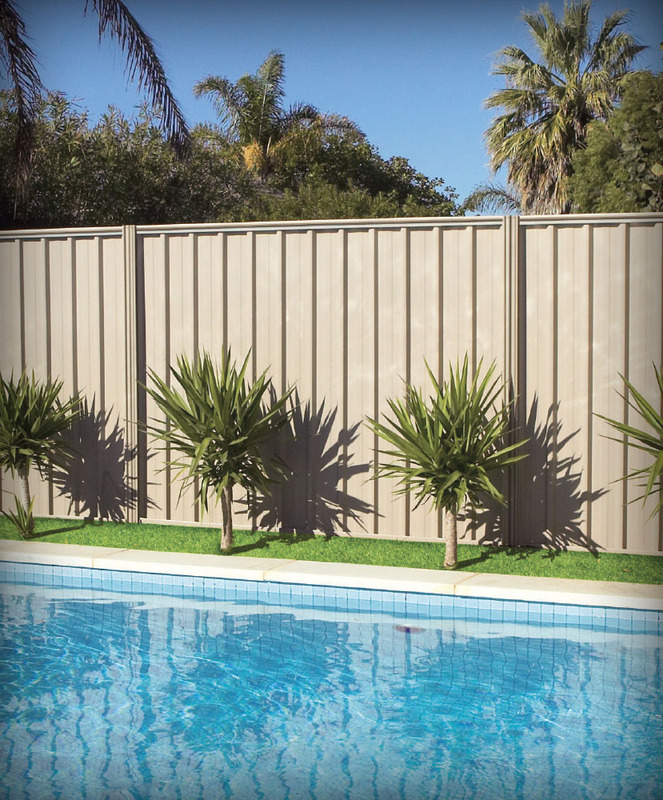 Stratco only manufacture fencing of the finest style and quality, so you can have confidence that your Stratco fence will provide privacy and security, with looks to complement your home for many years to come. Note: Some, products, colours and sizes may not be available in all states. Please check prior to ordering. 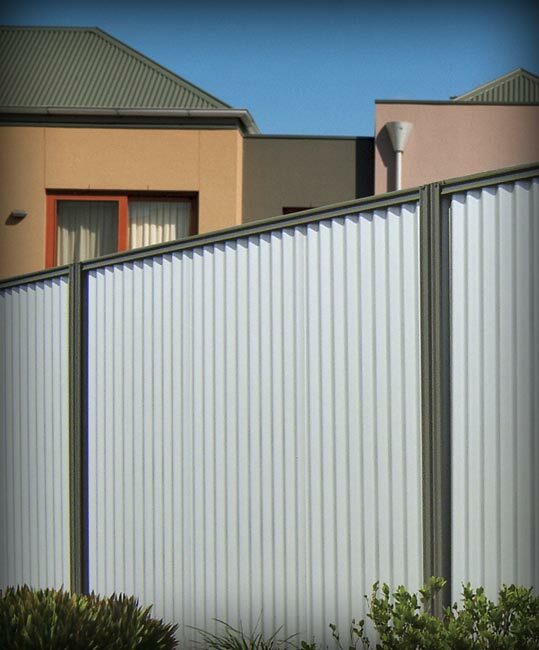 Stratco has specifically designed the Wavelok profile for fencing. It has a bold, striking appearance that looks identical on both sides of the fence. Its distinct flowing lines appear similar to fence palings. 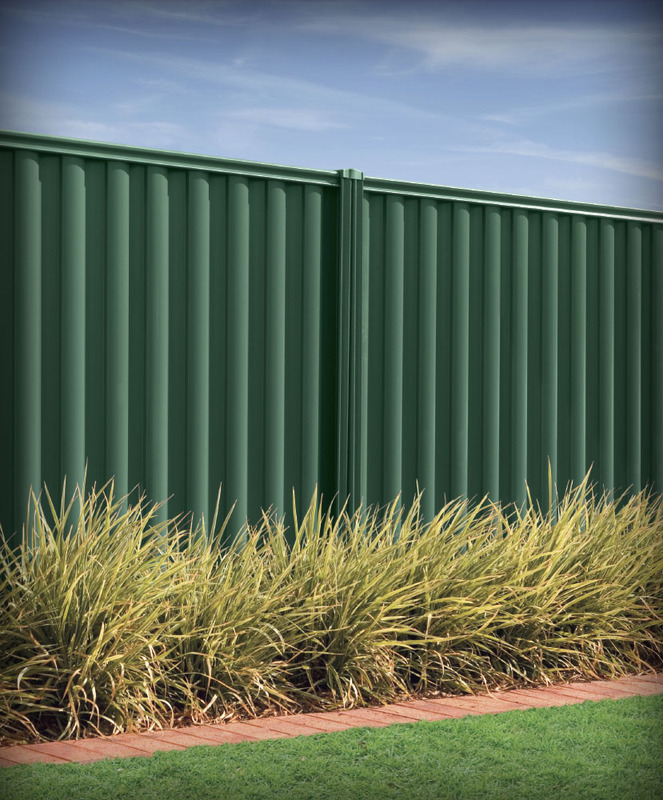 It is visually attractive yet provides the strength and security necessary for fencing. 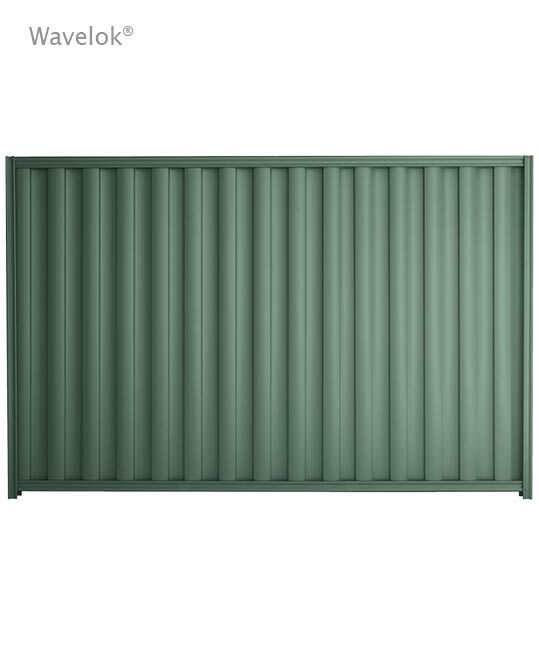 CGI Corrugated Fencing CGI corrugated is a timeless classic. 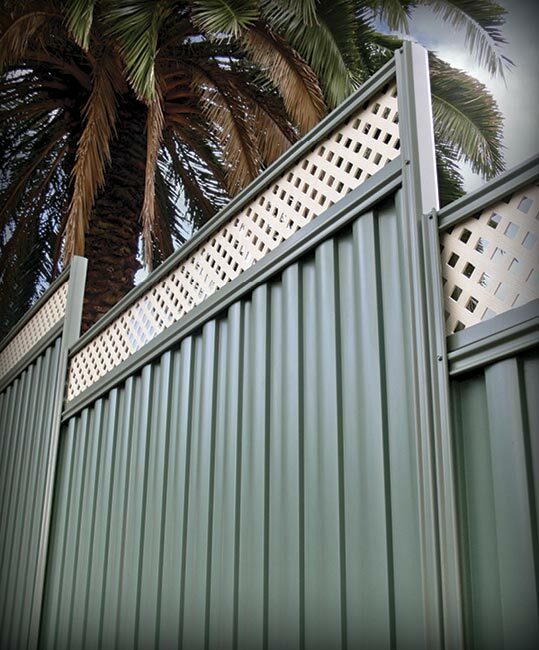 It is a versatile building material that has always been popular in domestic fencing. 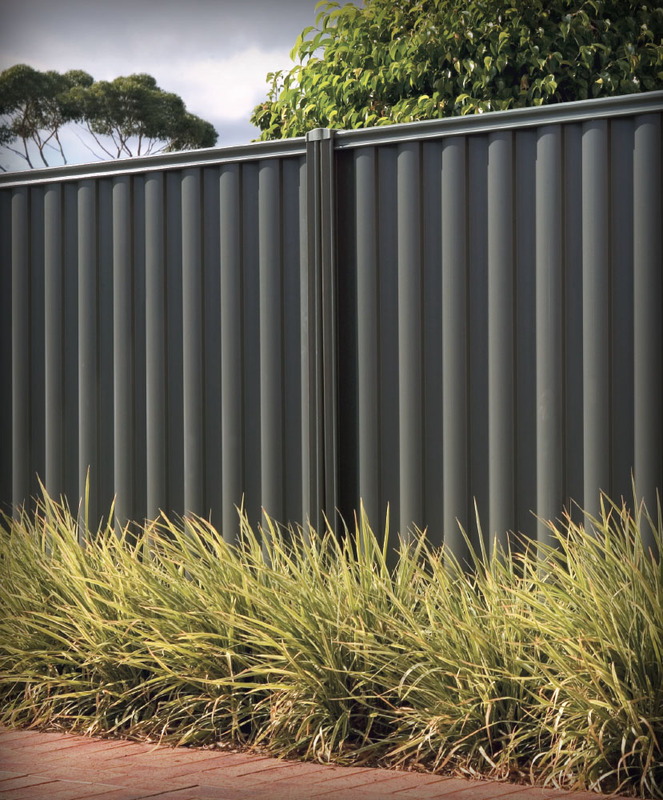 Its soft flowing lines complement both contemporary and colonial styled homes and make CGI an ideal fence as either a feature or a backdrop to your garden. 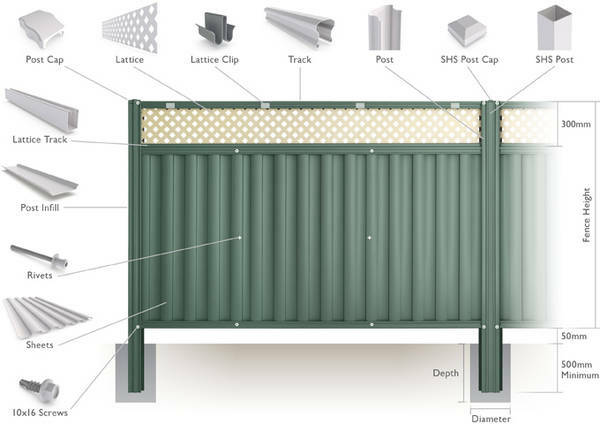 Smartspan® Fencing Smartspan is commonly used as industrial wall cladding and for roofing applications that require a long span. 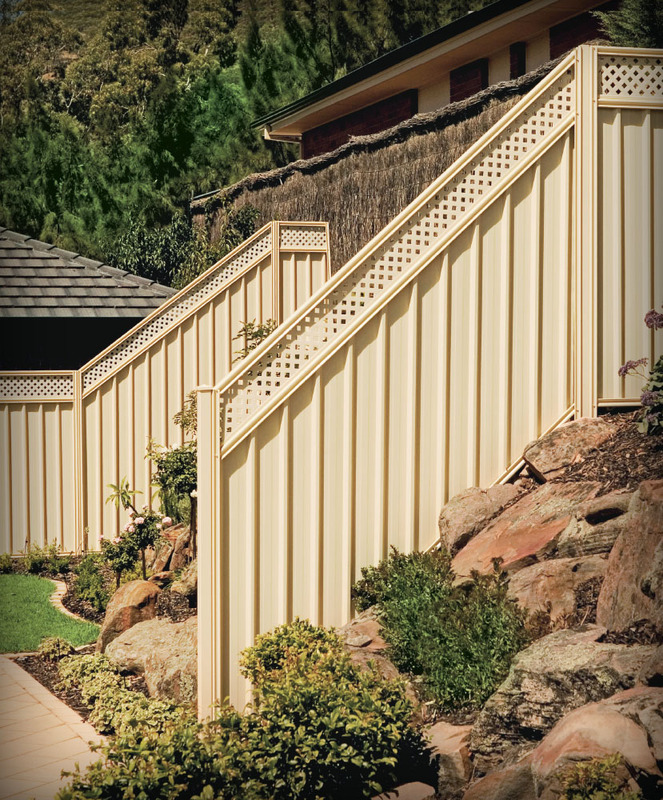 However, its inherent strength and appearance make it a smart choice for fencing. Smartspan will stand the test of time, while offering bold, attractive lines to neighbours on both sides. As a high tensile, steel profile sheet, Superdek is suitable for fencing applications because of its strength and its modern, good looking appearance. 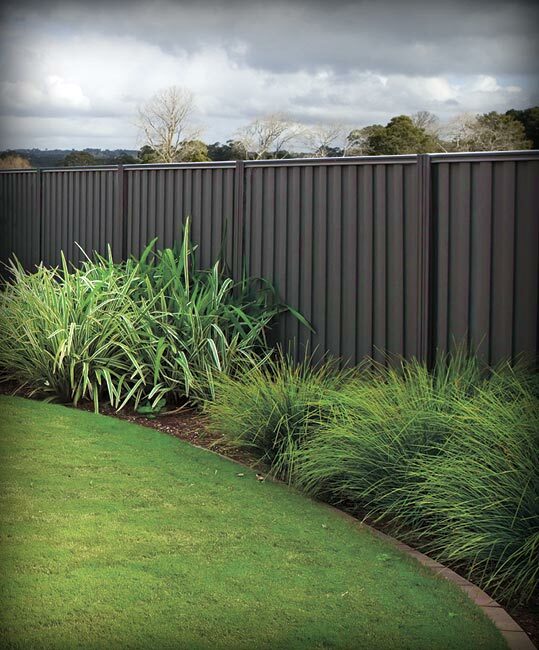 The Superdek profile has been the number one fence sheet choice for Good Neighbour fencing for many years and will be around for many more. 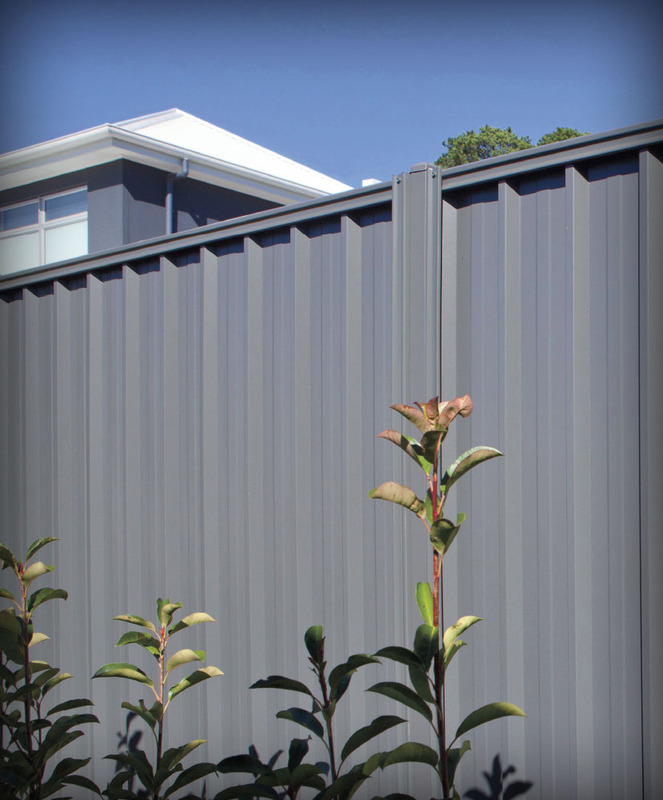 CGI mini is a high fashion steel profile that is equally suited to traditional or ultra-modern homes and gardens. 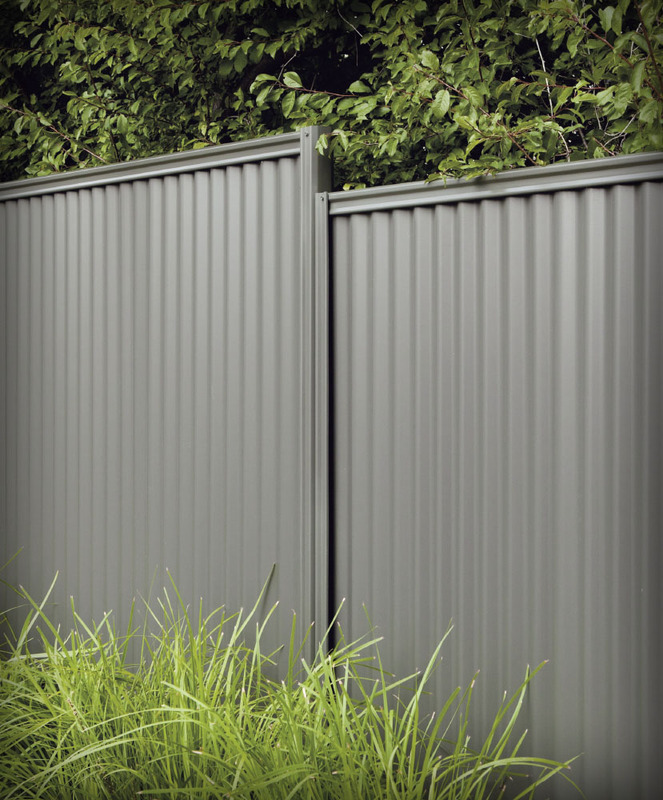 With countless applications including Good Neighbour Fencing, its mini corrugated profile provides a distinctive appearance to neighbours on either side of the fence. Note: CGI Mini is not available in heights of 2100mm. 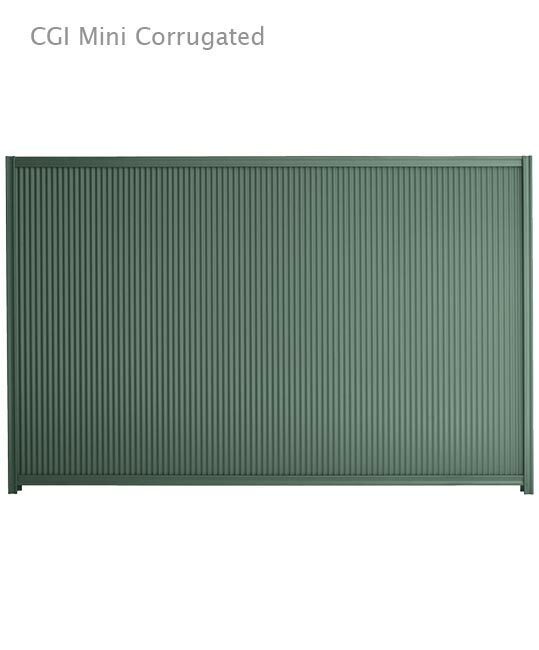 A middle rail is required for all CGI Mini panels except for 900mm high panels. The UV treated, plastic lattice screen top is available as an option with your new fence or as a 300mm extension to your existing Good Neighbour Fence. It comes in a range of colours and is an attractive and durable way to add privacy and security while allowing the light and breeze to filter through. The tables below provide maximum wind speeds for non-cyclonic and cyclonic regions. For cyclonic areas, the only suitable cladding is Superdek, Smartspan and Wavelok. 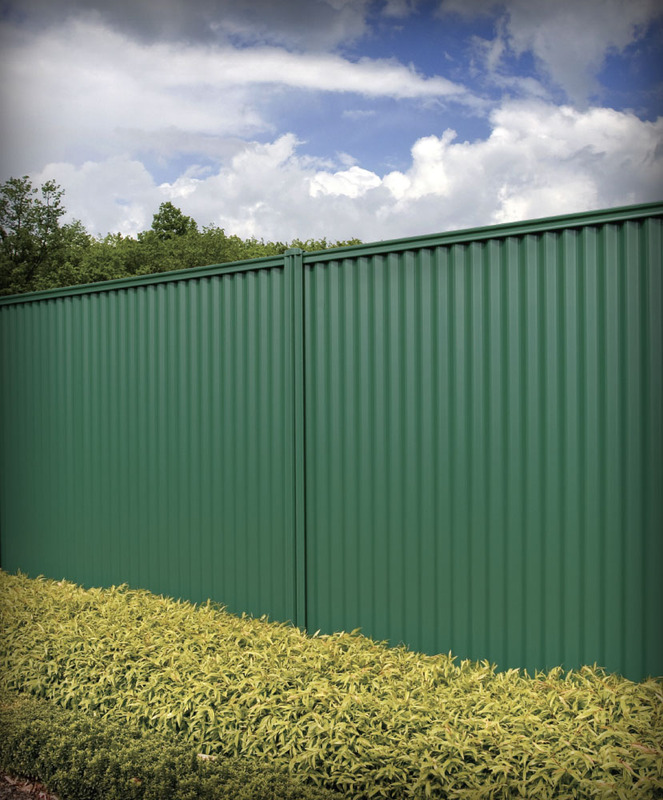 Fences with no free ends, or with internal sections that are further than two panels from a free end, can be designed using the maximum wind speed for tapered ends. 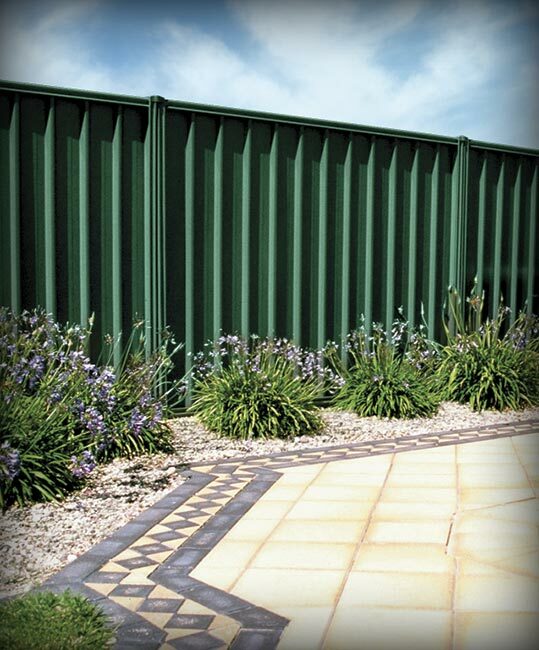 Corners or openings with solid fence gates are not classed as a free end. If you are unsure of your wind speed refer to the ‘Determining Wind Speed’ section. * Check State availability prior to ordering. Posts are supplied 545mm longer than the height of the fence. * Check State availability prior to ordering. Posts are supplied 545mm longer than the height of the fence. 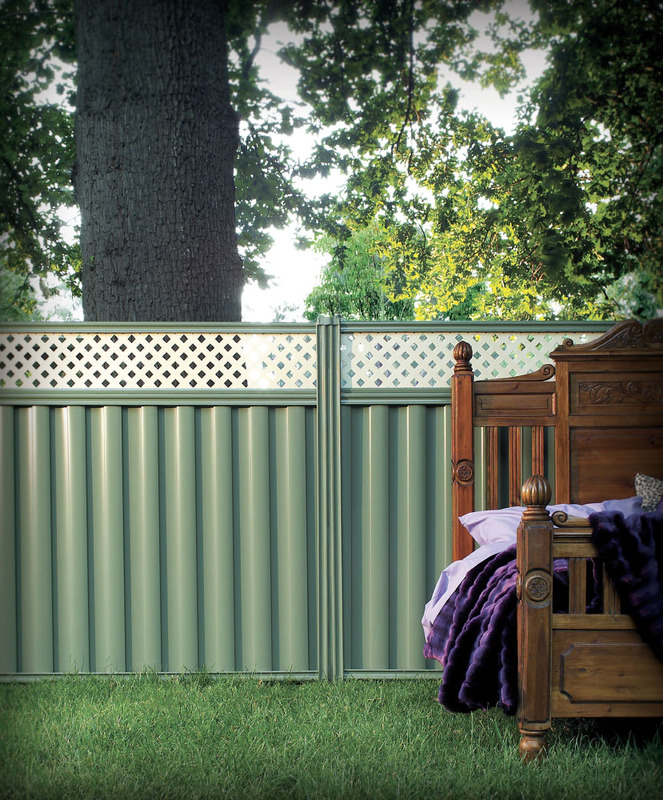 Complete your Good Neighbour Fence with a range of accessories from Stratco including post caps, a screen top extension and single and double fence gates.